Australia's oldest independent Anglican girls' school with a dynamic and supportive community in a beautiful location. Our purpose is to develop young women of character and intellect who have the capability and the determination to enrich their world. We value integrity, resilience, respect, relationships and service to strengthen communities, build character and improve the wellbeing of all. Do you embrace life? How will you shape the future? What communities and experiences will you make yours? Do you feel empowered to make your mark in the world? Girls can find their answers at St Catherine’s School, a dynamic and supportive day and boarding school for girls from Kindergarten to Year 12. We offer a broad, challenging and vibrant education designed to give her the capability and the determination to enrich the complex world she will inherit. Our teachers embrace the latest educational research balancing clear instruction with deep engagement. They help each girl to learn in the way that is right for her, giving her the academic rigour she needs and the tools she can use to flourish at school. We offer a broad, differentiated curriculum, further enrichment, support or extension and strong mentorship so she can shape her dreams. Our Academic Care program, founded on the principles of positive psychology, is designed to develop girls' wellbeing by building positive emotions, a resilient mindset, academic tenacity and strong relationships. We welcome all backgrounds, faiths and abilities, acknowledging that diversity enriches our community. While at St Catherine’s your daughter’s study is complemented by strong co-curricular programs in sport, music, performing arts and service education. When she leaves school we want her to be well educated, well rounded and well balanced – ready for further study, ready for life. Study is complemented by strong co-curricular programs in sport, music, performing arts, and service education. The range of experiences on offer at St Catherine’s provide many avenues for students to experience intellectual, emotional and social development. Apart from specialised camp programs, students have opportunities to take up immersive cultural and language exchanges as well as music, history and service education trips to Europe, Asia and the South Pacific. St Catherine’s has a whole-school approach to STEM literacy and enrichment with a robotics club and makerspace contributing to a culture of creativity, innovation and enquiry. Have a look at what we like to call Beyond the Curriculum (BTC) at St Catherine's. Some girls need extra challenges to get the most out of their education. Those identified as gifted will have an individual profile created which is shared with all her teachers. She will be provided with work that is tailored to challenge areas of strength, extension opportunities in specific subjects, or may be recommended for acceleration beyond her current year level. Students are closely monitored from Kindergarten to make sure they are on track academically. The English as Another Language (EAL) program is for girls whose primary language is not English. She will receive help with English to support her learning and have access to other specialist teachers across the curriculum. We educate girls like yours who will shape our future world. Our teachers embrace the latest educational research balancing clear instruction with engagement. They help each girl to learn in the way that is right for her, giving her the academic rigour she needs and the tools she can use to flourish at school. When she leaves, we want her to be well educated, well rounded and well balanced – ready for further study, ready for life. The foundation of learning at St Catherine’s is what we call Academic Challenge. We offer a broad, differentiated curriculum with a focus on meeting individual student needs, plus other forms of enrichment, extension and the opportunity for acceleration. Our teachers really get to know the students to gain a deep understanding of their talents and interests as well as areas that may need some work. We will help your daughter develop a resilient mindset and show her how to apply it to her learning. Academic Challenge is part of a learning philosophy that will help your daughter to become accomplished. She can then approach her final years at school with the confidence she will need to enter university and the career to which she aspires. Our Academic Care program, founded on the principles of positive psychology, is designed to develop girls' wellbeing and help them flourish. The philosophy is based on Martin Seligman's PERMA model, VIA character strengths? and studies in grit and resilience. We will help your daughter make the right subject choices that will reflect her learning style. St Catherine's offers a wide range of elective subjects as your daughter moves from Years 7 to 10. In Year 8 she selects two elective subjects and continues with these over Year 9. In Year 10 she will add one more elective making three in addition to her core curriculum. We will guide her as she makes her subject choices and encourage her to challenge herself. Your daughter can choose from over 30 courses to prepare for the Higher School Certificate with many of those available at extension levels. Our teachers work closely with the senior girls ensuring their subject choices are the ones that will provide the best pathway to the post-school programs they wish to pursue. Engineering Studies is a recent addition to our curriculum. Building a strong STEM culture at St Catherine's ensures we have young women entering the workforce with the kind of enquiring mindset vital for a world constantly calling for innovative and creative thinkers. To develop initiative, confidence and teamwork St Catherine's girls are encouraged to participate in activities beyond the school day. The Beyond the Curriculum (BTC) program at St Catherine's is a truly extensive and engaging array of artistic, cultural and sports activities to nourish your daughter's physical, intellectual and social abilities. The holistic approach we take helps each girl reach her true potential and prepare for post-school experiences. She'll know how to take the initiative and be more driven for success in all her endeavours. In short, we'll help her become more confident and creative. We only have 60 places in our boarding house and that's just the way we like it. We're one big international family living here at school. Our boarders are from Asia Pacific and regional Australia which is a real blending of country friendliness and cultural diversity. At St Catherine's we use the Bible's guiding principles to help your daughter to grow in wisdom, character and knowledge regardless of her faith background. She does not have to be a Christian to feel she belongs here. Being honest, fair-minded and acting in accordance with sound ethical principles. Having the emotional strength to rebound from adversity with optimism for the future. Treating others with consideration and dignity. Feeling valued and able to value the contribution of others. Considering the needs of others, with an attitude of compassion and generosity. St Catherine's offers a variety of scholarships reflecting the academic and inclusive nature of our learning philosophies. ACADEMIC Open to girls entering year 7 only. ALL-ROUNDER Open to external applicants entering years 7 to 10. MUSIC Open to all girls entering years 7 to 11. COUNTRY BOARDING Open to girls from regional Australia entering years 7 to 11. INDIGENOUS Open to Indigenous boarding and day students in conjunciton with the Australian Indigenous Education Foundation (AIEF), Go Foundation and the John Moriarty Scholarship. FAITH PATTERSON SCHOLARSHIP Means-tested awarded every second year and covers half tuition fees for year 11 and 12. JANE BARKER SCHOLARSHIP Open to daughters and grand-daughters of Old Girls, awarded every second year. Indigenous scholarships are open for applications. The Jane Barker Scholarship will open in November 2019 for a place in 2021. Other scholarships will open for applications in November 2019. If the pursuit of happiness is a fundamental human right, how is it that women’s happiness is declining? In HeadLines this week, Dr Julie Townsend shares some thoughts on why and what we can do about it. Catch up with Dr Townsend’s comments about ‘concierge’ parents published in the Sun Herald. Next time you hear the fateful words “I’m bored!” you’ll know exactly what to say. Read our latest blog. St Catherine’s School is in Sydney’s eastern suburbs close to magnificent Centennial Park and the University of New South Wales. Some of Australia’s most famous beaches including Bondi and Bronte are a short walk or bus ride away. We provide a subsidised private bus service for St Catherine’s students from Years 1 – 12 to our neighbouring suburbs and beyond. A recent graduate of UNSW, Mia was awarded the Pacific Aluminium prize for the best performance in AMTS3007 Materials Industry Management and the Australasian Corrosion Association Prize for the best performance in MATS4007 Engineered Surfaces to Resist Corrosion and Wear. During 2017 Mia had the wonderful opportunity of participating in the North Carolina State University practicum exchange program, a 12-?week study program working in the field of computational simulations of materials. The program focused on the generation and analysis of simulations of amphiphilic DNA molecules furthering her learning about the fundamental principles of research. Tamina left St Catherine’s in 2013 and has since been honoured for her contribution to indigenous culture. A proud Meriam woman (Torres Strait) and Wuthathi women (Cape York), in 2018 she was awarded the NAIDOC Youth of the Year for her achievements in technology. At school, Tamina was a self-confessed ‘tech geek’ and completed her HSC in 20xxx with an ATAR score of 95.75. She has since gone on to study Computer Engineering at UNSW. Tamina has stated that her St Catherine’s teacher Dr Shantha Bose was a huge motivation for her to achieve such top results. Tamina has used her technology knowledge and expertise to help Indigenous people through a collaboration with non-profit organisation Indigitek. She continues her advocacy work alongside her mother in social media, digital marketing and research and she has also completed two summer internships with Google and a cadetship with the ABC. I attended Catherine’s from first class to year 12 and matriculated in 1985. St Catherine’s gave me an education second to none and enabled me to pursue my dreams of becoming a health care practitioner. I have been a Chiropractor for 28 years now earning my Masters in Chiropractic from Macquarie University in 1992. I have delivered over 50,000 treatments to date and will probably deliver another 30,000 before my retirement. 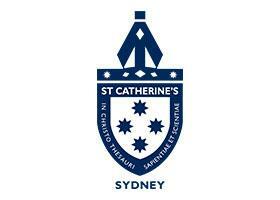 Thank you St Catherine’s for my beautiful start in life and career. My heart is filled with gratitude. As a sport coach, I found the school and the students outstanding. Highly committed to academics and sport, and of course people of great character. I would highly recommend the school. Was an international boarder for 6 yrs. Caring, supportive environment. We would love to welcome you and your daughter to our school at one of our Open Mornings to get a feel for the way we approach education. Please visit our website to book.